Lovely. Bummer it is my first day back at work, sob, or I would be whipping up these babies and hanging them all over the house. What a cute idea! I am such a banner girl. I will be making one of these soon. 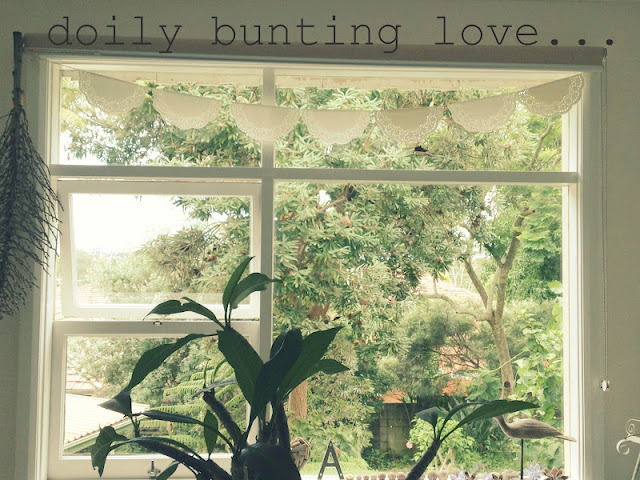 gorgeous bunting! Loving your make it mondays! Thanks also for the link to Pulp.... full of gorgeousness! gorgeous! makes me feel like getting the sewing machine out. 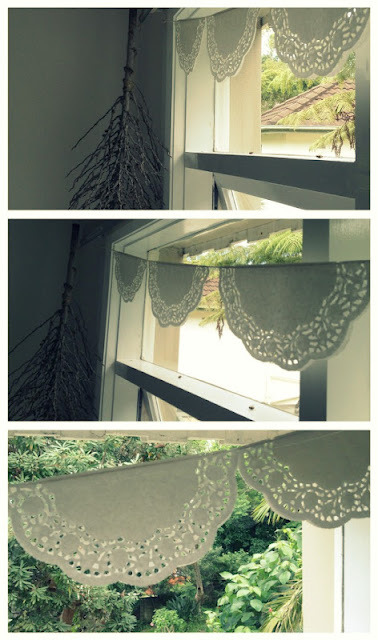 Your doily bunting is just lovley. 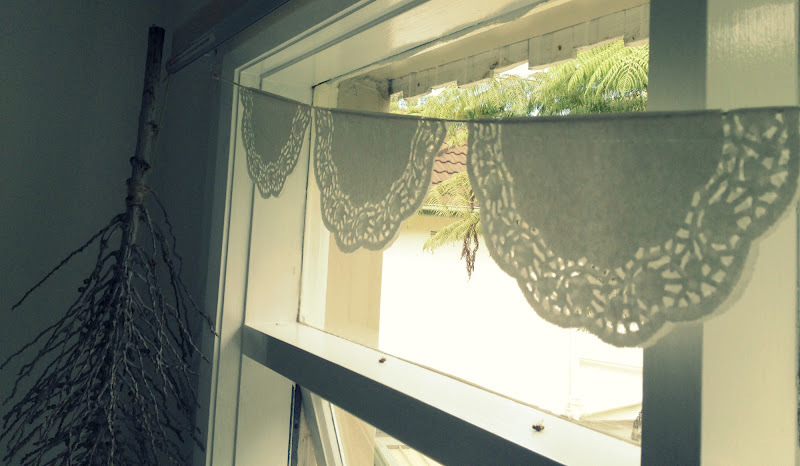 I actually made a batch of doily bunting the other day as well, for my bedroom window..though I must admit I was too lazy to sew them, and just used mini peg clips instead. They sure do brighten up a window though.